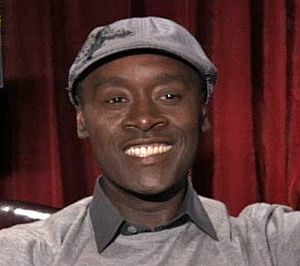 Don Cheadle (November 29, 1964) is an American actor. He was born in Kansas City, Missouri. Don Cheadle Facts for Kids. Kiddle Encyclopedia.